In coasts and estuaries, tropical cyclones (hurricanes or typhoons) can cause hazardous flooding, inundation, and shoreline erosion due to its extreme physical forcing such as high waves, storm surges, strong currents, and rainfall-generated river flood flows. Assessment of hazards in coasts and estuaries due to cyclones requires accurate predictions of hydrodynamic and morphodynamic processes varying in space and time. Integrated coastal and oceanic processes models are the most adequate simulation tools for fulfilling those multiple engineering purposes for coastal hazard management and planning. This paper presents a number of engineering applications (case studies) for sedimentation management, coastal flooding protection, and structure installation in coasts, river mouths, and estuaries by using an integrated coastal processes model. Using this kind of fully-coupled fluvial, estuarine, and coastal processes models enable to produce high-fidelity simulation results of waves, tides, storms surges, river flows, sediment transport, and morphological changes in coasts and estuaries which have complex geometry and infrastructures. Research & Development Center of U.S. Army Corps of Engineers, Vicksburg, MS 39180, USA. numerical modelling, and coastal engineering. 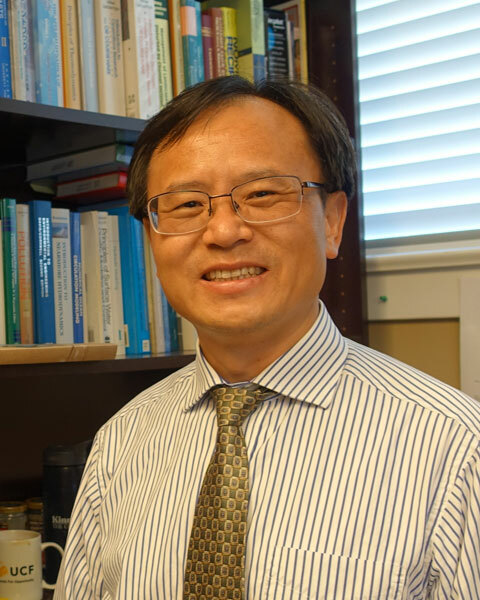 Bio: Yan Ding is currently working in the Coastal and Hydraulics Laboratory, Engineer Research & Development Center of U.S. Army Corps of Engineers, Vicksburg, MS 39180, USA. He worked as a Research Associate Professor in the National Center for Computational Hydroscience and Engineering (NCCHE) at the University of Mississippi, Oxford, Mississippi, USA. He has a Ph.D. from Tsinghua University, Beijing, China. His expertise lies on hydraulics and river dynamics, sediment transport, optimal control of flow and sediment transport, numerical modelling, and coastal engineering.